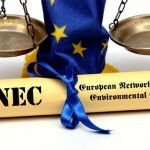 The European Network against Environmental Crimes (ENEC) has adopted proposals for a European Action Plan to combat illegal poisoning of wildlife. The document proposes a coordinated strategy for all Member States to prevent, deter, monitor and ultimately, prosecute cases of illegal poisoning of wildlife within the European Union, where the illegal use of poison remains a serious problem for wildlife conservation. The ENEC, launched and coordinated by SEO/BirdLife and the RSPB, is a BirdLife Europe initiative , bringing together members of BirdLife Europe and representatives from the European Network of Prosecutors for the Environment (ENPE), the EU Forum of Judges for the Environment (EUFJE), police forces (EnviCrimeNet) and the European Federation of Associations for Hunting and Conservation of the European Union (FACE), and the Convention on Migratory Species (CMS). This network of lawyers, legal professionals and authorities working in the fight against environmental crimes aims to improve the implementation of Community legislation on environmental crime. “Many migratory spices, such as the red kite or Egyptian vulture, are threatened by the use of poisoned-baits. 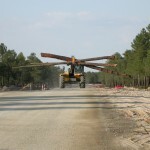 The problem is that they are not equally protected against illegal poisoning in all territories throughout their flyway. Efforts against the use of poisoned-baits in some EU countries are diminished if the effort is not the same in neighbouring countries, where they could eventually die poisoned, ” added Juan Carlos Atienza, Head of Conservation Unit at SEO/BirdLife. “Despite being illegal, poison baits are still used widely and indiscriminately to kill predators and to control agricultural pests. 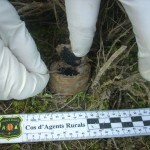 Placing poisoned-baits is still an established practice in some areas but also a massive non-selective method, causing unnecessary suffering for wildlife, and posing a serious threat to biodiversity in the EU, ” said David de la Bodega. 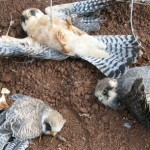 The illegal use of poisoned-baits in the countryside to eradicate predators occurs worldwide. In many cases, this indiscriminate predator control method is used to kill animals that are considered an obstruction to hunting management or agriculture. The illegal use of poison is a direct threat to European species such as the Iberian imperial eagle (Aquila adalberti) eastern imperial eagle (Aquila heliaca), red kite (Milvus milvus) or the Egyptian vulture (Neophron percnopterus). It also presents a risk to other wildlife, domestic animals and human health, with potentially lethal consequences. 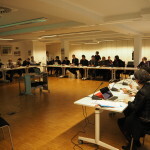 The European Action Plan adopted by the ENEC is the result of a participatory process attended by representatives of 20 EU countries, judges, prosecutors, hunters and law enforcement officials, including representatives of the National Association of Forest and Environmental Rangers-AEAFMA. 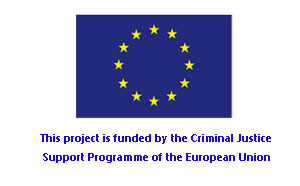 The Action Plan, with the consensus of leading experts involved in the fight against illegal poisoning throughout the EU, has been approved by all European partners of BirdLife and submitted to the European Commission, which will include the Action Plan in the Roadmap on illegal killing of birds in order to promote joint and harmonized actions across the EU. Among other measures, the Action Plan proposes measures to improve the information available on the use and impact of poisoned-baits, and to increase prevention, deterrence and monitoring of cases of poisoning of wildlife in the countryside. It also proposes actions to increase efficiency in the pursuit of illegal use of poison, according to the provisions of the EU legislation and the national criminal laws of each Member State. 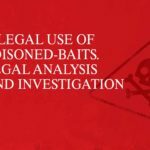 Controlling the use of toxic substances in the preparation of poisoned-baits and measures for the coordination of the various stakeholders involved are also addressed in the document. The measures agreed by the ENEC contribute to the implementation in the EU of the Guidelines to prevent the risk of poisoning of migratory birds adopted by the parties to the Convention on Migratory Species (CMS).